With over 200 vehicles and 240 trained, uniformed Chauffeurs…A-1 Limousine is ready to be your ground transportation provider. A-1 Limousine is the largest independently owned limousine company in New Jersey and among the top 10 in the nation, with offices strategically located to effectively serve New Jersey, the metropolitan New York City area, Eastern Pennsylvania and Delaware. Our company utilizes electronic flight monitoring technology, and an IT network supported by high performance, high availability, encrypted database cluster. From reservations to billing, your information with us is handled in a secured manner. 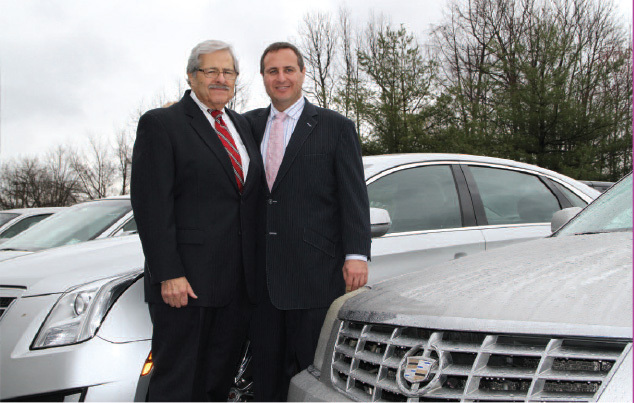 With over 200 late model vehicles to serve you, we feature the front wheel drive Cadillac DTS sedans and limousines as well as vans, shuttle buses, executive/luxury limousine vans, and luxury coaches to assist you with individual and group moves. A-1 Limousine – for people going places… ® Our offices are open all year round, 24 hours a day. Your business is our top priority: therefore, your call will always be answered by one of our experienced transportation specialists. With 50+ years of continued growth in the corporate and leisure world, the A-1 difference is best exemplified by the people that will service your trip, from our reservationists to our chauffeurs. Our chauffeurs are well-trained, drug and alcohol tested, with driving records checked bi-annually. They know the mission is simple: be early, be courteous, and be there when you need them the most. All of our chauffeurs are employees (no sub contractors). Ongoing training for safe driving, customer service, first aid and CPR are conducted throughout the year. A-1 Limousine has exceeded the standard for the ground transportation industry through technical support, courteous service, and dependable performance. Our fleet is fully insured by American Alternatives Insurance Company (a subsidiary of Munich Reinsurance) with an A.M. Best rating of A++ on our liability insurance coverage. Our Chauffeurs are covered by Workers Compensation through New Jersey Manufactures Insurance Company with an A.M. Best Rating of A++. We are fully licensed by The New Jersey Motor Vehicle Commission, The Pennsylvania Public Utilities Commission, The Philadelphia Parking Authority, The New Jersey Alcohol and Beverage Commission and The United States Department of Transportation along with other state and federal regulatory agencies. In addition, we have ASE certified and General Motors factory-trained Service technicians that service every vehicle with a daily multi-point service program in conjunction with a preventive maintenance schedule that ensures your safety and timely arrival. 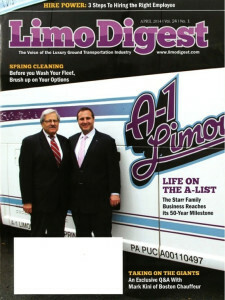 A-1 Limousine continues to strive to demonstrate a willingness to earn your business by implementing services such as our world-wide Affiliate Program – For People Going Places®… We have developed a network of ground transportation companies through out the world that meet our standards and our dedication to providing uncompromising service to you. With just one call to A-1 Limousine – you can book you or your associates into professional ground transportation here, there, or around the world. A-1 Limousine is licensed by all jurisdictional governing agencies we provided service in. A-1 Limousine is licensed by our local municipality and the State of New Jersey which provides the authority to operate Intrastate. The Philadelphia Parking Authority to conduct Intra-Philadelphia County passenger transportation.